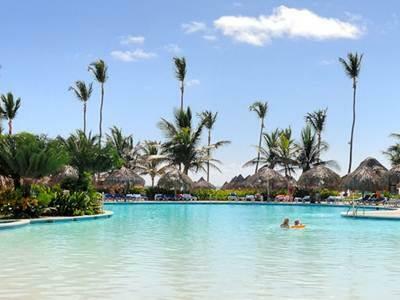 ﻿ Best Price on Tropical Princess Beach Resort & Spa in Punta Cana + Reviews! Have a question for Tropical Princess Beach Resort & Spa? Designed for both business and leisure travel, Tropical Princess Beach Resort & Spa is ideally situated in Bavaro; one of the city's most popular locales. With its location just from the city center and 25. Km from the airport, this 4-star hotel attracts numerous travelers each year. 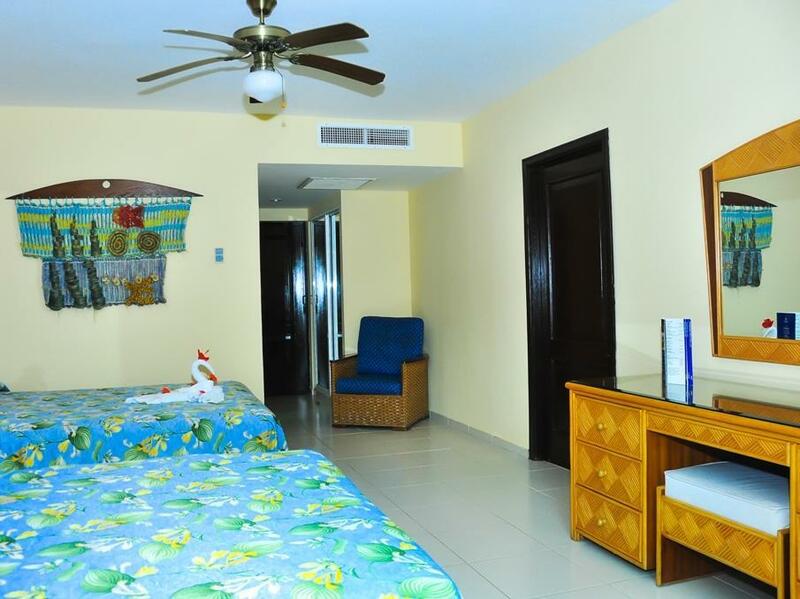 For sightseeing options and local attractions, one need not look far as the hotel enjoys close proximity to Arena Blanca Beach, Tower Casino, Mini Market. The facilities and services provided by Tropical Princess Beach Resort & Spa ensure a pleasant stay for guests. Guests of the hotel can enjoy on-site features like 24-hour room service, casino, facilities for disabled guests, Wi-Fi in public areas, car park. Experience high quality room facilities during your stay here. Some rooms include air conditioning, mini bar, balcony/terrace, telephone, fan, provided to help guests recharge after a long day. Whether you're a fitness enthusiast or are just looking for a way to unwind after a hard day, you will be entertained by top-class recreational facilities such as hot tub, fitness center, sauna, golf course (within 3 km), outdoor pool. Discover an engaging blend of professional service and a wide array of features at Tropical Princess Beach Resort & Spa. With such a great deal on Agoda, we went in with low expectations, and we were pleasantly surprised. Pools, bars, beach, food, all very close without feeling crowded. Great activities during the day for everyone. Only complaint, which is really just a suggestion... I wouldn’t call the nightly entertainment family friendly, as the dress and themes are quite provocative for small children. Not an issue for us, but I saw several families leave during the performances. Pros: The staff at the buffet & restaurants are amazing! Cons:. The resort needs to be renovated. The beds are extremely uncomfortable. The vendors on beach are non-stop. On the actual resort grounds there are Royal Vacations salespeople that can be aggressive. Remember that as soon as someone offers you a "free gift"....the sales tactic has begun. Great! Would go back as you get full Dominican experience! If you are not expecting 4 stars pampering from this place you will probably like the hotel. The entrance hall is the only place that has (very slow) wifi. It is good to disconnect for a while but if you need to have connection (like we needed for booking things during the holiday) it's not even available. Tropical Princess and Caribe Club Princess are just the same hotel. We overnighted in both of them. Rooms are basic but the outside areas are spacious and nice. And the beach is very close. Our vacation in the resort was very pleasant. Sourraunding and gardens were very beautiful and well kept. Room was under our expectations (3star ) and the bathroom is for 2 star hotel. Food in the restaurant was good. Staff shiuld improve their English language level. Cleaning staff should cleen the swimming pool area ib early morning not at 10h when guests are allready there. I gave to the clients service my trousers to be sewed on one place and after 3 days they returned it to me unsewed without explaining and with a smile as the service was done. When I opened the bag later I found that they haven't done anything. Efficiency of the stuff I find strange. Arrived in this 4* as solo woman traveller. 1) 1.Room: ground floor, moldy, unclean sheats. The balcony door was broken - unsafe. On asking for a room Change: the Manager first told me they where booked out (not a satisfying answer if you are a solo traveller and the room is unsafe), than to come again at 4 pm. it was already 4 pm so I had to come back at 5. pm. Than room Change. 2)2.Room: difficulties with the key lock. A Generator next door. Outside the balcony a sewage System that stank of toilets. 3) It took help from agoda and wanting to cancel and go somewhere else. 4) at 2 am they woke me and came to check These issues.. 5) Finally the next day I got a decent, nice, 4* hotel-room. After that the stay was amazing, the Food is good, the staff great, the Location really nice. Make sure you get a GOOD ROOM! Feel teased they tried to put me in a bad place as single traveller. Thanks to Agoda for the great Support. The beach, the location, appearance, and the food was good except for the Donkey burgers. They said it was beef but it taste like donkey or mule or Hippo. Our stay at this hotel was amazing. We would recommend this hotel to everyone. Buena ubicación , cálido y buena atención de todo el equipo ! Superior gebucht, dunkles Mauseloch erhalten.Reklamation: Suite(= grösseres Zimmer) mit aufschlag USd 600. Runtergehandelt auf 400,00.. Essensauswahl gross, Speisequalität lässt erheblich zu wünschen übrig. Wifiempfang nur in der Lobby und schwach. Konnte email-verkehr über Office abwickeln. Empfindliche Insektenstiche im Zimmer und Strand. Sprachkenntnisse schwach.Hauptsächlich spanisch. Fernsehempfang sehr, sehr schwach.